Do you have enough evidence for a whistleblower lawsuit? A whistleblower lawsuit requires solid evidence if the whistleblower wishes to be taken seriously. Before the government will join a qui tam case prosecutors will examine the evidence to make sure it is detailed enough for them to be able to proceed. An investigation into allegations of fraud is typically time-consuming and much is at stake. The government will want to be sure there is sufficient, detailed evidence that fraud has occurred and that there is a good chance for them to win the case. When you consult with your whistleblower attorney, he or she will ask for proof of your allegations of fraud. This proof might be evidence you already have, such as work emails, invoices, billing notes, or other types of documentation. Typically, when a whistleblower first contacts an attorney, they have already gathered some kind of evidence to support their claims. Having some kind of supportive evidence will help your attorney evaluate how strong your case is, and whether there are sufficient grounds to file a complaint under the False Claims Act. If you don’t have any kind of physical evidence yet, your attorney will review with you the types of evidence you may have access to. This will allow you to form a plan for building a solid case with sufficient evidence to support your claims in a court of law. It may be a little more complicated to gather this type of evidence because you have to be very careful that the evidence is collected legally. For example, if you signed any kind of confidentiality or pre-employment agreement with your company, you should have your attorney review the contracts before trying to photograph or record evidence. If you are a healthcare professional and concerned about patient privacy, note that HIPAA Privacy Rule Exemptions allow you to disclose certain Protected Health Information (PHI) as long as you only disclose it to your attorney, and only if the PHI is absolutely necessary to the investigation. Your Utah whistleblower attorney knows what types of evidence are appropriate for your case, and the legal ways for you to gather evidence in Utah. 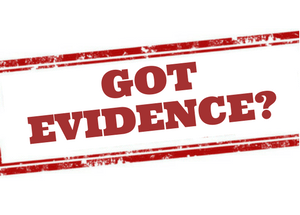 How you gather your evidence is especially important to your case, because the last thing you want to have happen in court is for your evidence to be thrown out because it was illegally obtained. There may also be additional evidence which you know of, but to which you don’t have access. This may be because your job position doesn’t give you access to the evidence, or maybe because you have already quit the job and left the company. You should discuss any such evidence with your whistleblower attorney, no matter how unimportant, inconsequential, or irrelevant you may think the evidence is. Sometimes a small detail can make or break a whistleblower case, so don’t overlook anything. Let your attorney guide you. Based on the evidence you either have or can provide, your whistleblower attorney will be able to evaluate whether your qui tam lawsuit has a chance to succeed and what obstacles you are likely to face. If you decide to become a whistleblower, it’s important to keep your decision private from your employer and co-workers. Speaking up when the fraud occurs won’t hurt your case, but being disruptive at work will most likely get you fired. And if you’re fired, you can’t gather evidence for your case. Staying calm will give you the opportunity to collect additional evidence of wrongdoing, and will also give you time to plan for an exit from the company, should it become necessary. Either way, it’s important to speak about your plan only to your whistleblower attorney. Timeliness matters in a whistleblower lawsuit. While you should definitely think carefully about the challenges of reporting fraud before you officially file your whistleblower lawsuit, and the sooner you start the process of getting the evidence you need, the better. If you believe you have witnessed fraud and would like to discuss your options in confidence, contact us today.